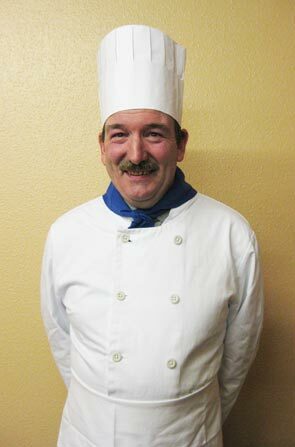 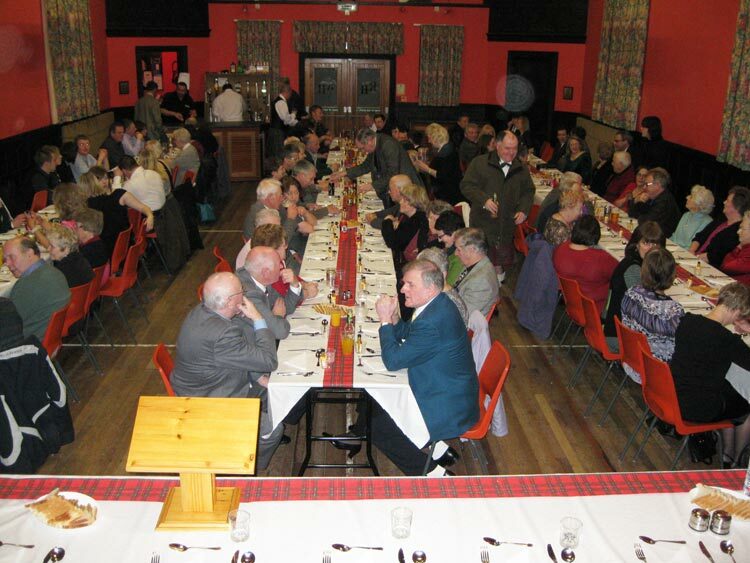 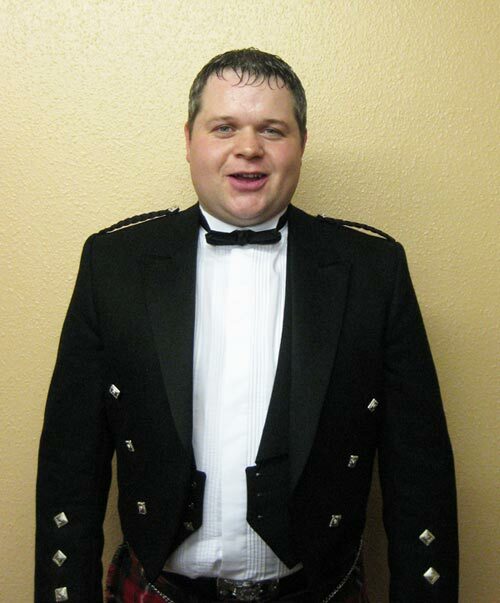 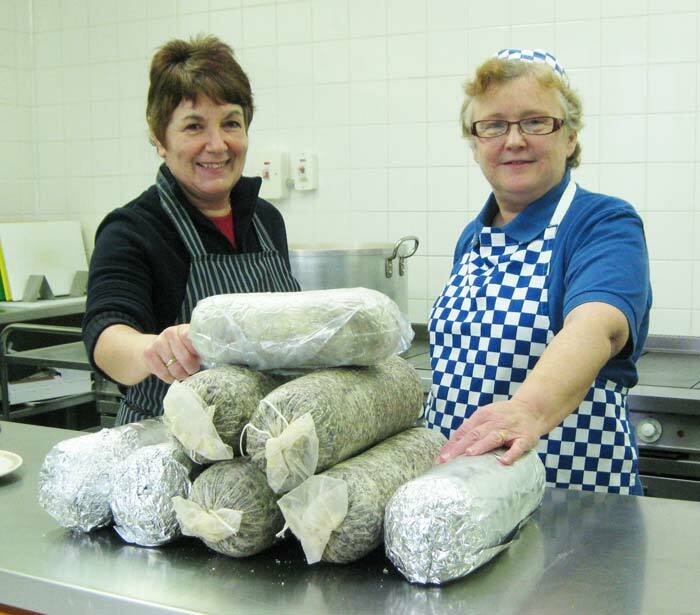 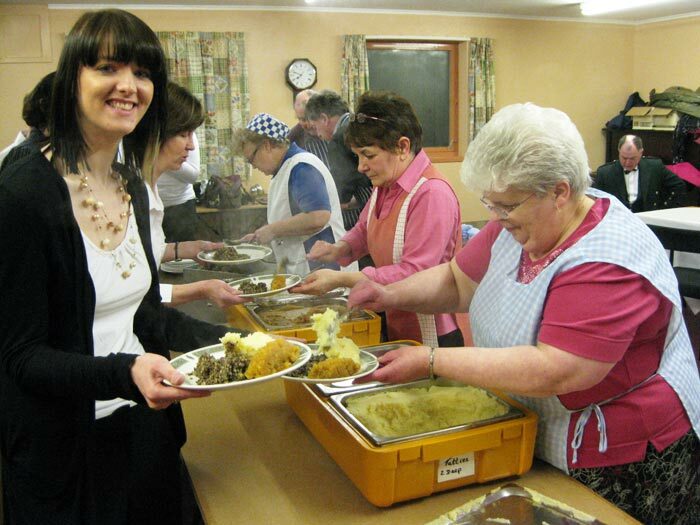 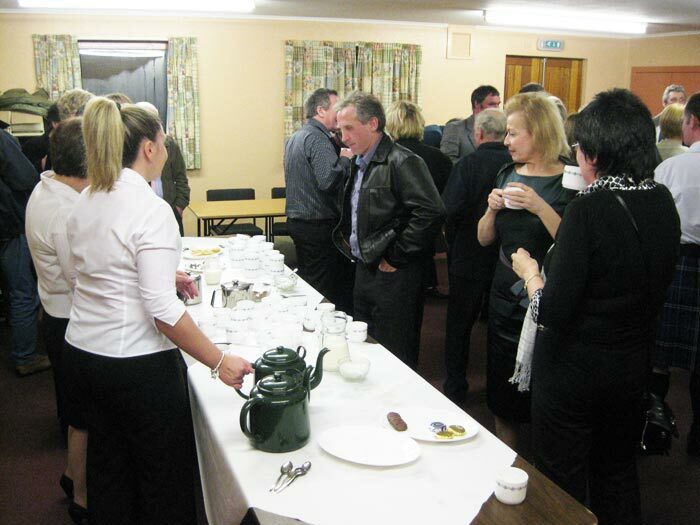 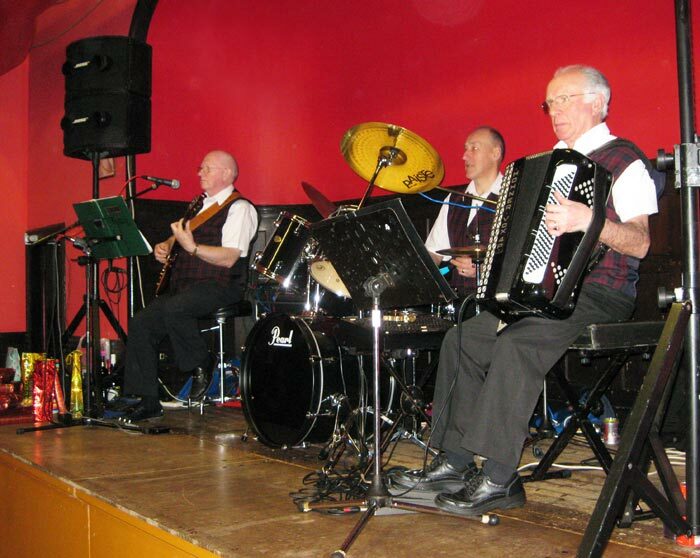 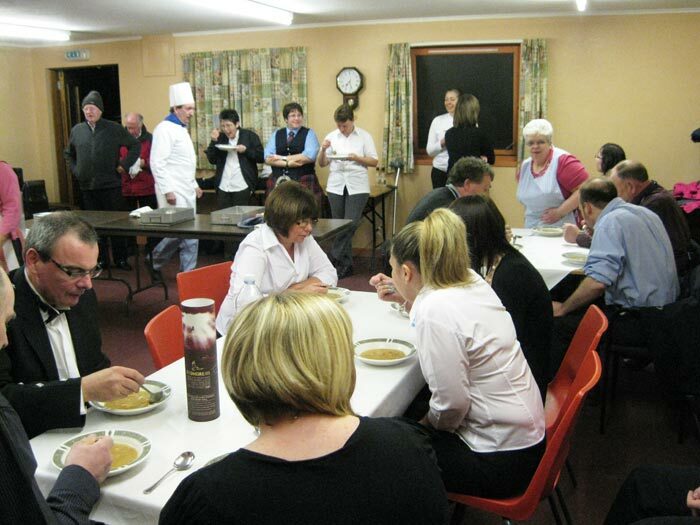 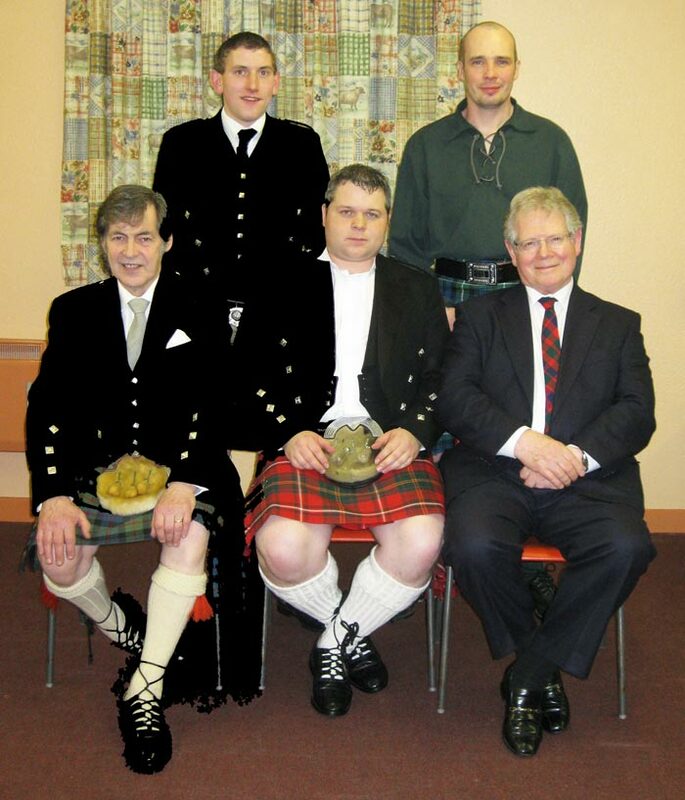 The Burns Supper is organised jointly by The Rannes Hall Committee and The Kennethmont Senior Citizens Committee. 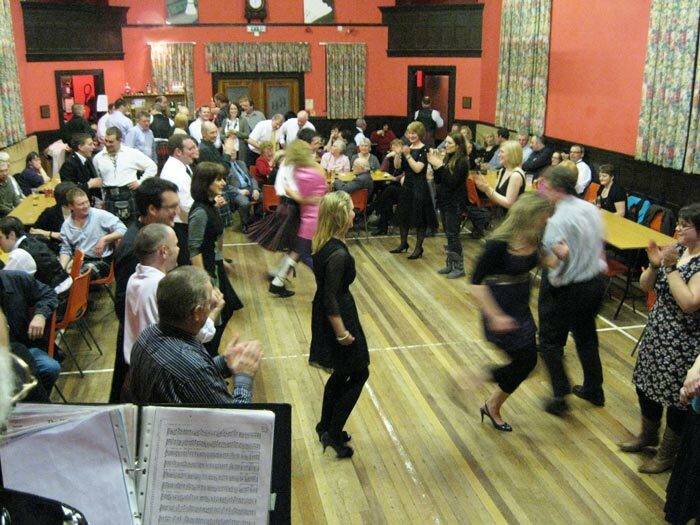 It is held in The Rannes Public Hall. 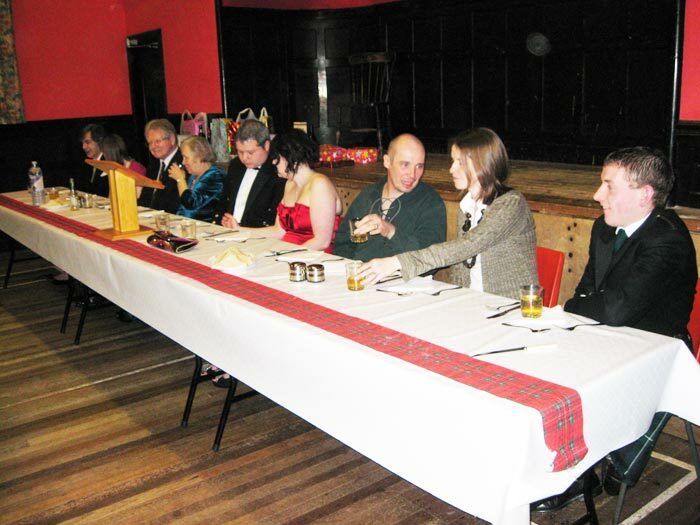 The hall was 100 years old on 29th Dec 2009. 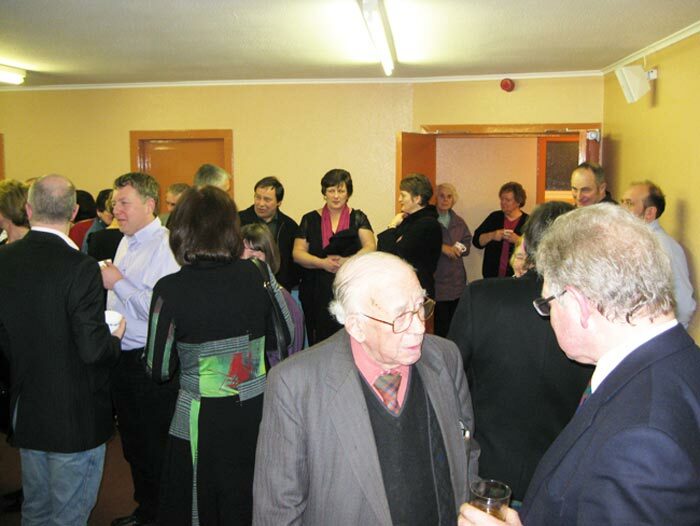 Chairman David Hay, centre, officiated during the evening. 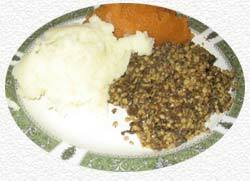 Wullie carries the Haggis away. 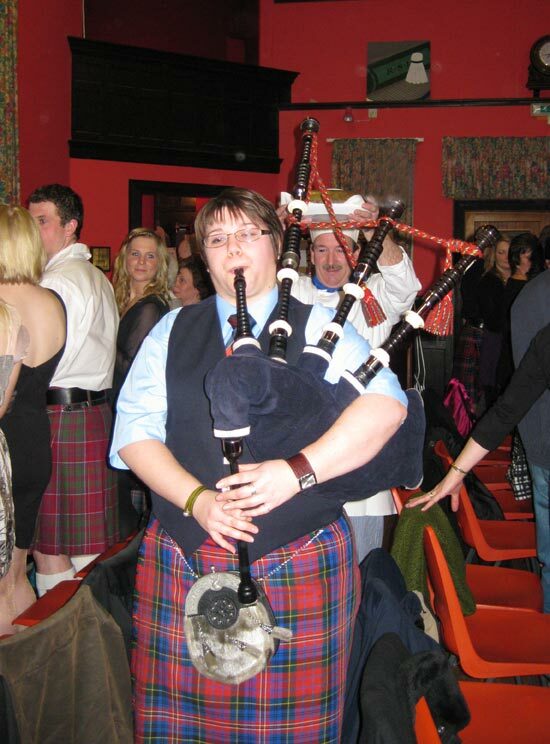 Holly Gill passes along the line of " hamely fare"
A man's a man for a' that "
" It's gey het on the fingers ! " 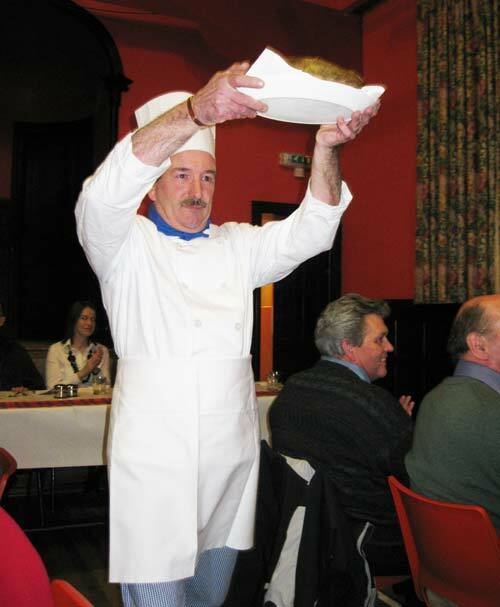 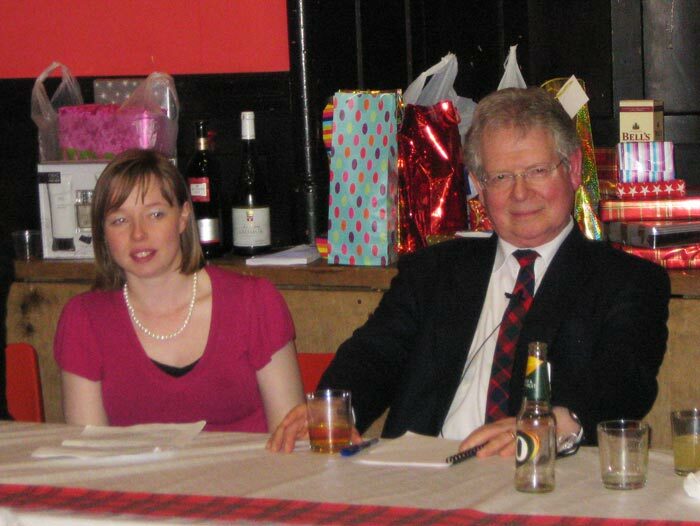 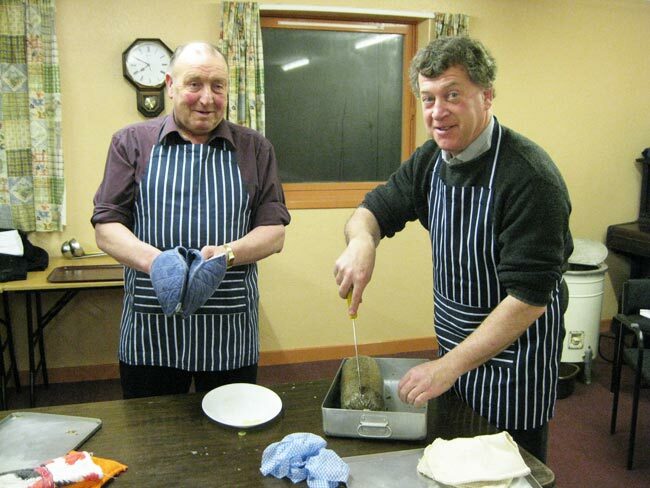 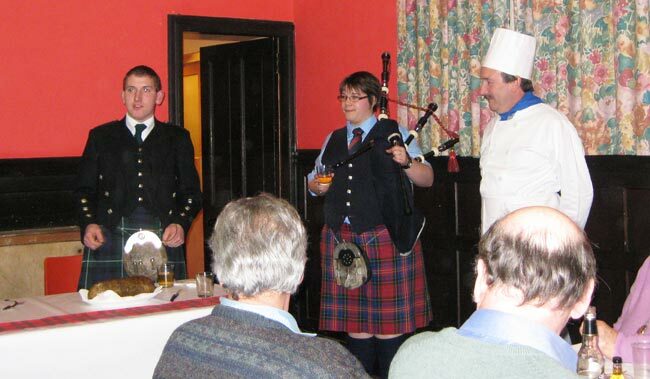 Andy Henderson looks on as Ian Grant cuts open the last haggis. 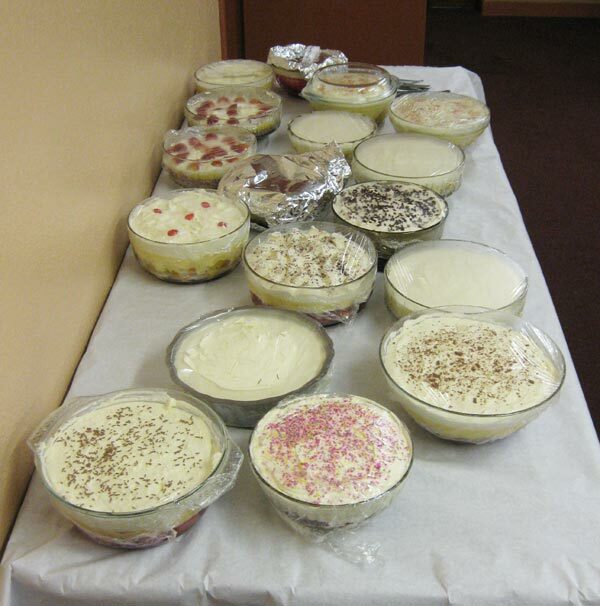 A selection of home made trifles were served up for dessert . 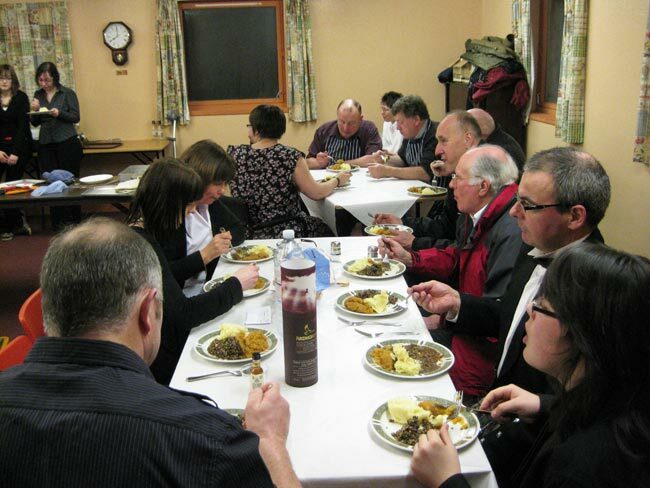 There are actually two sittings going on as the helpers are also given a meal. 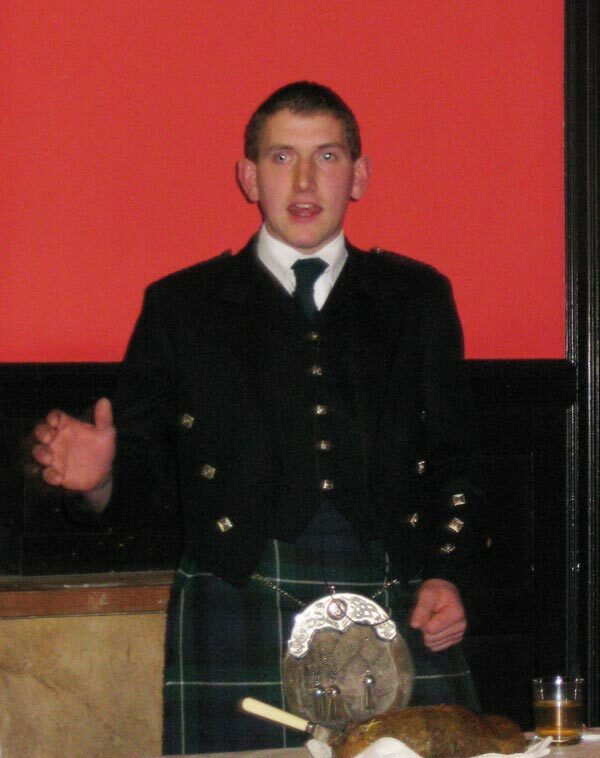 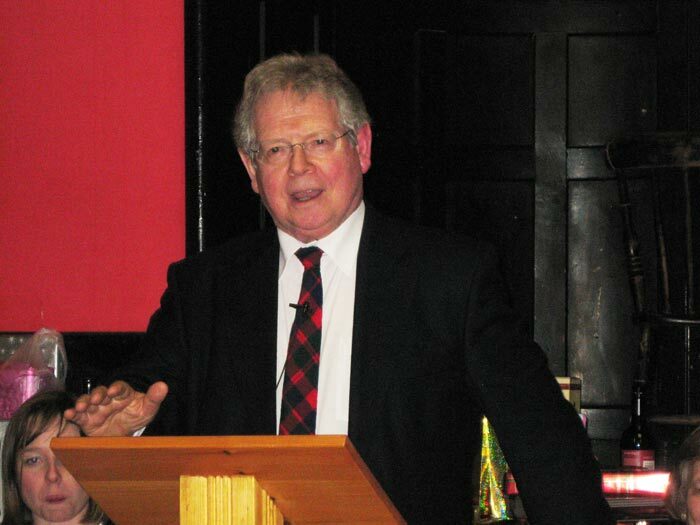 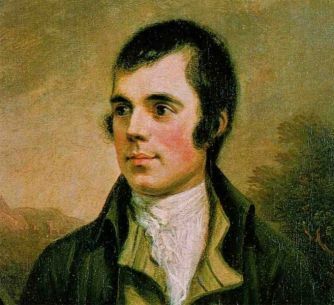 George Donald, Perth ( weel kint Huntly loon and member of Scotland the What ) proposed the toast to the Immortal Memory of Rabbie Burns. 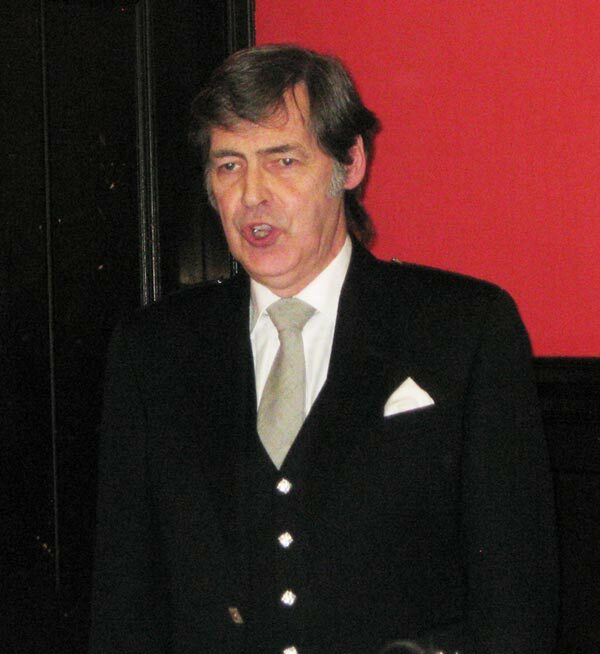 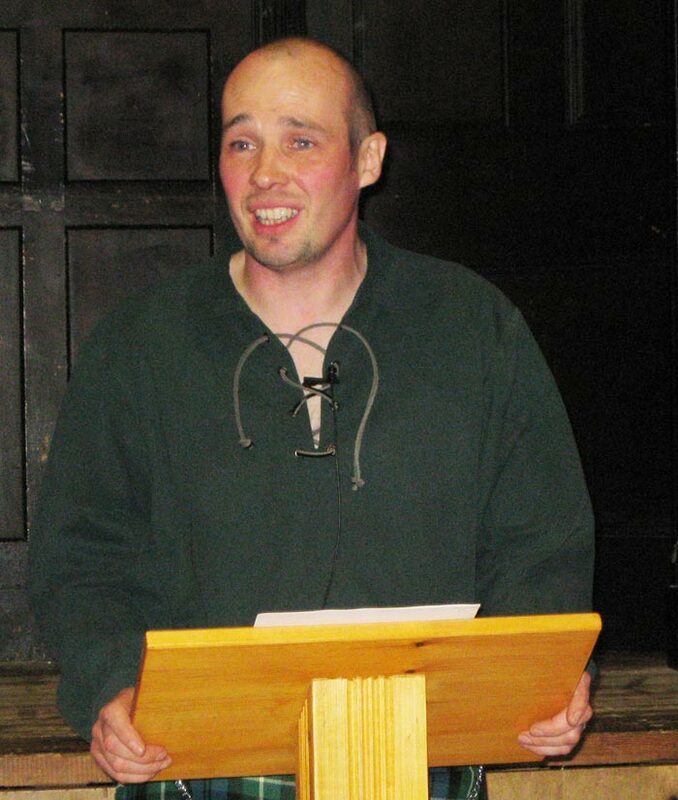 Joe Brown, Duncanstone proposed the toast to the Lasses. 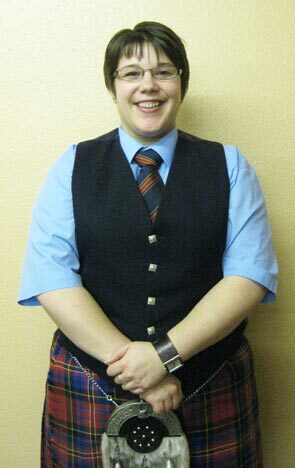 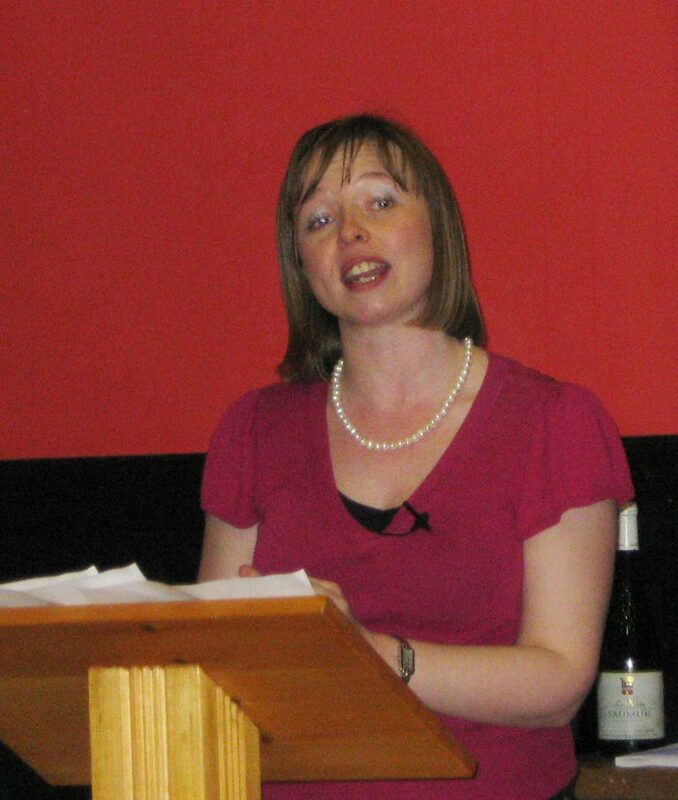 Local TV personality, Rachel Stewart, Inverurie replied on behalf of the Lasses.